Exotic Swords are one of the most powerful weapons in Destiny and here's how to get your own! 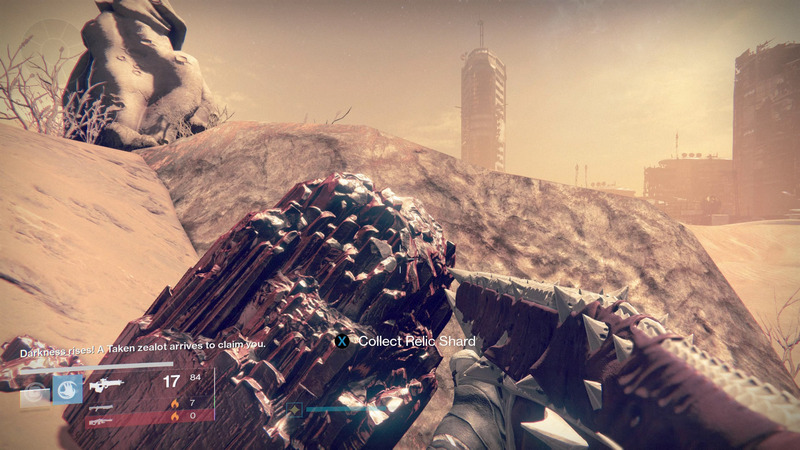 This guide will show you how to get your Exotic Sword in Destiny. This is the final mission of The Taken King storyline and requires you to kill Oryx. 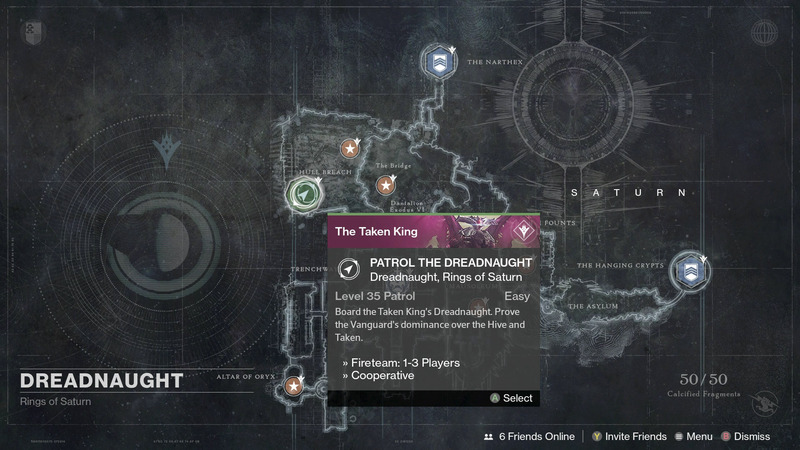 Dread Patrol is a mission given to you by Cayde-6 and requires you to set up Patrol beacons in the Dreadnaught. Talk with Eris in the Hall of Guardians to begin A Broken Will. Lord Shaxx will send you to Patrol the Dreadnaught to collect 25 Hadium Flakes and 10 Motes of Light. Speak with Lord Shaxx again to receive your Legendary Sword. Whatever Sword you choose will dictate what Exotic Sword you receive: Void Edge is Dark-Drinker, Sol Edge is Raze-Lighter, and Arc Edge is Bolt-Caster. To receive these Legendary Swords you will need either 25 Relic Iron, Helium Filaments, or Spinmetal, respectively. Infuse your Legendary Sword to 280 to begin the next step in the quest to get your Exotic Sword. After infusing the sword to 280 you will begin the questline A Sword Reforged. Shaxx will then supply to the next step. This step of the quest requires you to kill, using your new sword, 50 Major enemies and 25 Guardians in the Crucible. You can use your ammo-less sword hilt to earn kills. The next step toward getting your Exotic sword is to kill Ecthar, Sword of Oryx who is found in The Founts. To reach The Founts start at Dreadnaught Patrol, then run straight past the crashed Cabal ship and into The Mausoleum. When you enter The Mausoleum head to the back left near the giant pit and through the doorway. Follow the hallway down until you reach The Founts. You will find three Hive Knights that must be killed within close succession. To do this, bring a Fireteam or whittle their health down and finish them off yourself. 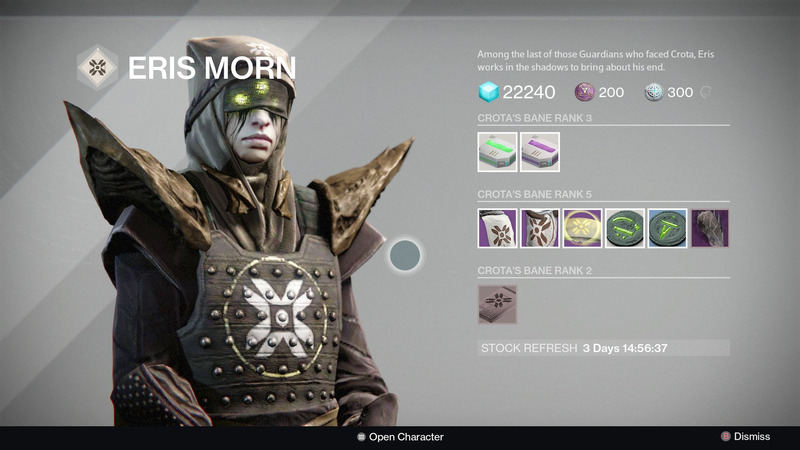 After they die, the door to The Asylum will open granting you access to Ecthar, Sword of Oryx. Kill Ecthar to complete the mission. Return to Lord Shaxx to receive this next step that requires you to get 500 ability kills and collect 10 special planetary resources. The ability kills are dependent on your chosen Sword. Load up the Siege of the Warmind mission on Earth to easily finish the ability kills. Use the hallway that is full of Thrall, Acolytes, and Knights that is before the main room to quickly do this section. The 10 special planetary materials depend on your sword: the Solar sword requires Helium Filaments from the Moon, the Arc sword requires Spinmetal from Earth, and the Void sword requires Relic Iron from Mars. By collecting these planetary materials you get the chance to receive a special material: Helium Filaments give Soliton Flares, Spinmetal gives Zyptocyte Cores, and Relic Iron gives Relic Crystal. These are rewarded extremely rarely, perhaps 1 out of every 10 planetary resources. There are multiple ways to do this, one way involves using a Ghost with the Resource Sensor to easily detect resources around you. Alternatively, you can sprint between loading zones to force a planetary resource to stay loaded. This method involves collecting resources until one appears close to a loading zone then collecting it. Before it disappears, travel into the next area and back to grab the resource again. Unfortunately, this method only works if there are no other players in your Patrol instance. Lord Shaxx will inform you that you will need to wait until the following Armsday. When Armsday arrives you will need to speak with Lord Shaxx again where he will task you with defeating the Warden of Oryx and Alak-Hul, the Darkblade within 30 seconds of one another. You need to kill the Knight that matches the element of your sword. For instance, if you are aiming for the Void Exotic Sword you must kill the Void-shielded Knight and then Alak-Hul within 30 seconds of each other. The easiest method for this is to bring a Fireteam. Kill the other two Knights and leave your specific Knight alive but bring its health down low. Bring Alak-Hul’s health down extremely low then quickly kill the Knight followed by Alak-Hul. Return to Lord Shaxx to receive your Exotic sword! 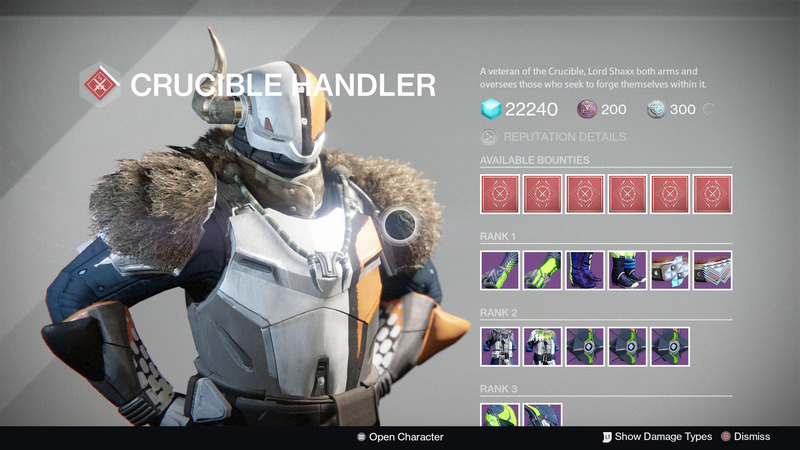 If you want to earn the other Exotic swords, simply purchase the appropriate Legendary Sword from Lord Shaxx, infuse it above 300 and you’ll be prompted to begin the quest again, but this time you won’t have to do the first half. Now just enjoy your new Exotic sword! Destiny 2 Release Date And Beta Leaked! The long awaited arrival of Destiny 2 is here... And a release date and beta were revealed as a result!